I’m not Racing With the World Anymore. I’m Walking With Jesus. 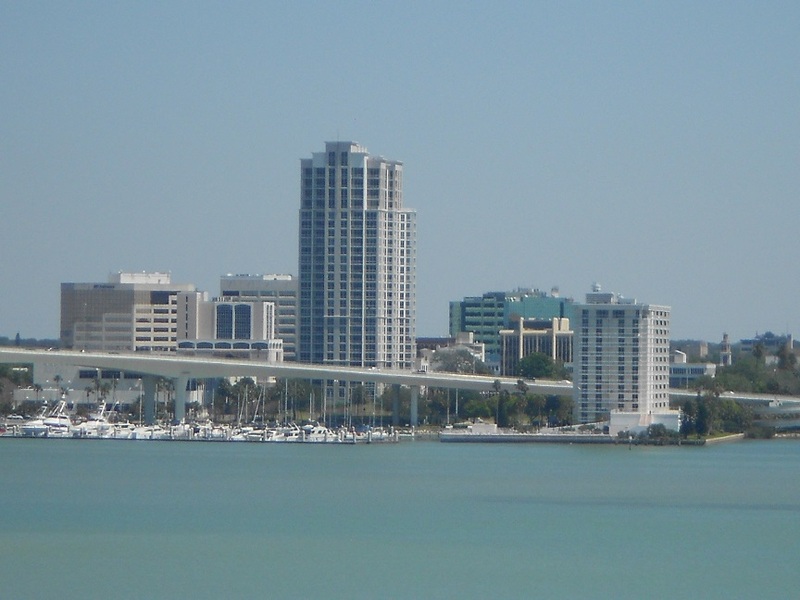 I am writing today from the beautiful, alligator infested Tampa Bay area. Today I woke up for the first time being 48 years old. Funny, I thought I would be old by now but I’m not. I still feel like I’m in my twenties. You know it’s funny. When I was in my early 20s I thought it was cool when someone in their 40s would hang out with me at a ball game or something. It made me feel so mature. Now I think it’s cool when people in their 20s and 30s hang out with me! I remember when I was in my teens and 20s I thought it was so cool that John Kennedy was the youngest elected president of the United States, just in his early 40s. It gave me hope that young people could do great things. Today, I think it is so cool that Ronald Reagan was the oldest man elected president of the United States, pushing 70 and even re-elected at 74! It gives me hope that even in my older years I can do great things. Today, I have reached an age, where instead of drawing inspiration by what young people can do, I draw inspiration from what old people can do. Yet today, as I woke up for the first time being 48 years old, one thing did trouble me. I have known Jesus all my life, and yet I am still so unlike Him. I look around me, and my life is full of people who are a lot more like Jesus than I am. People half my age or less, (And believe me there are more and more of them every day!) who are more patient, selfless, and thoughtful. There are those who are just coming to know Christ who I see making sacrifices and doing thoughtful deeds that I should have thought of but did not. While I should be teaching, I learn from others every day. Yet as I stand around feeling like a midget in a world of spiritual giants I am reminded of a verse I now see in a different light. Sure, I understand, Paul is talking about people who think they are so important when they compare themselves to others. Yet if it is not wise for great people to compare themselves to others, then wouldn’t it be also foolish for lowly people to do the same? When I took up golf I wanted to be good. I kept record of all my scores and if I won or lost. I would be on the third hole already thinking about how many strokes I was behind. Then I read golf instruction books telling me how dangerous that was. These books told me not to worry about my score or how far behind I was. They said to just worry about my next shot. The only stroke that matters, is the one you are getting ready to make right now. Sure you want to stay out of sand traps, and it’s good to know if you were lined up wrong, or topped the ball which is why you ended up there. But once you are in the sand trap the only question is, how are you going to get out? It doesn’t do any good to look at your golf buddy who is proudly standing on the green in two shots. It doesn’t do any good to think about how these sand traps are placed in random places where even people who make good shots can still end up in them. After all, life is filled with random “sand traps” in random places where even the best of people can fall in them. Don’t look around at everyone else. Don’t ask why me? 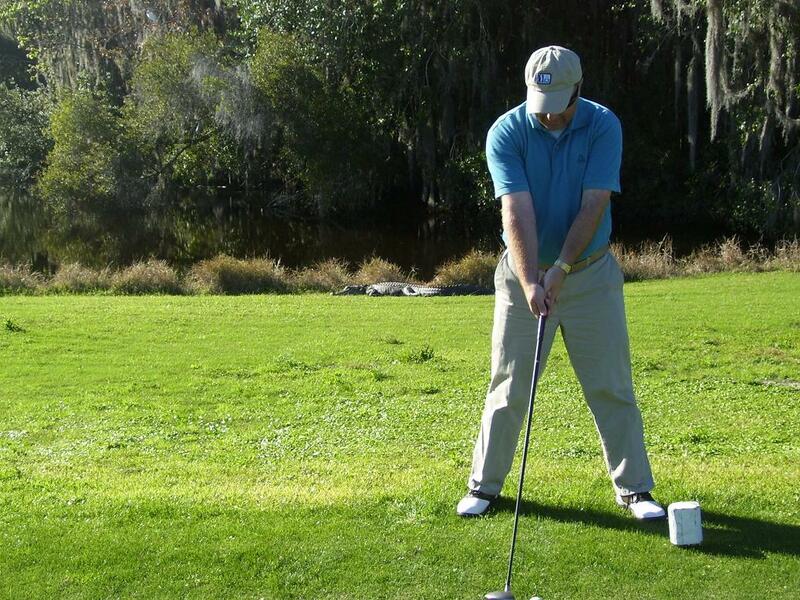 Simply get your sand wedge club and get out. That’s all you can do but don’t feel helpless, because that is also all you need to do! Golf is a long game of 18 long fairways filled with water hazards and sand traps. By the end of the game everyone has had to deal with them all! You are no different. 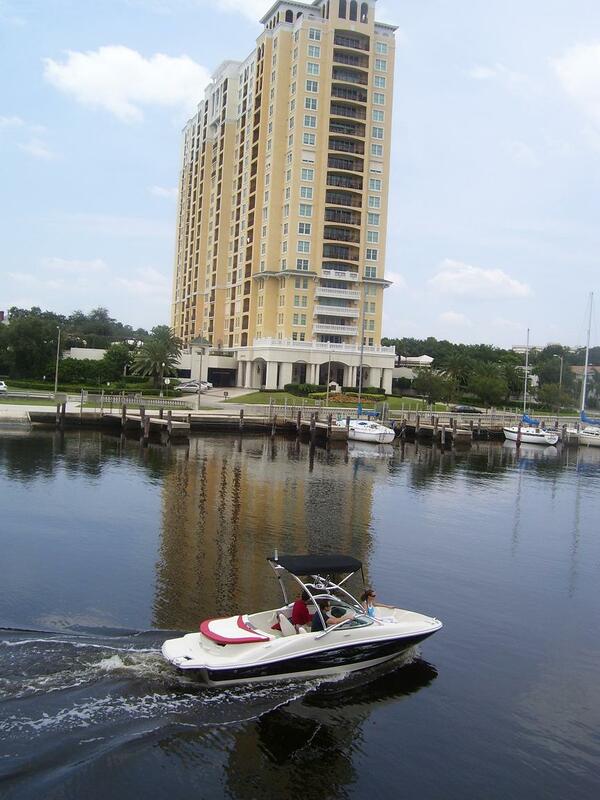 I am learning not to compare myself to others or look at past mistakes in my golf game. It gets me nowhere. My golf buddies tell me, that while I am keeping careful score, that pro golf champions don’t even look at the leader board till the end of the first round. I guess they already know what I am just learning, that the game is long and by the time it is over everyone will have had their challenges and struggles. By the end of it all a lot of random things will happen to them all. They can’t control what is going on with the other golfers on the course. They can’t change their own past. All they can do is, take their next shot. That’s all that is on their minds. I guess that is why I saw Bubba Watson, calmly hit out of the woods next to the green a couple years ago on his way to win the Masters. Even though his previous shot went into the woods, he won the Masters Championship by simply focusing on his next shot. The wisdom I found in a golf book reminds me of the wisdom Paul shared centuries ago. So today, while I wake up at 48, and find myself way behind in the spiritual race, I realize it’s not a race against others. Jesus did not tell me to race with everyone else. He told me to walk with Him! I’m not looking at past failures today. I am not discouraged watching those who are way ahead of me in the race. I may be waking up today deep into the woods. It’s okay. I’m taking Jesus by the hand, and we are going to walk together today. He will get me out of the woods and onto the greens that David talked about in psalms 23:2. So, while the only thing I regret about waking up being 48 years old today, is that I am not as much like Jesus as I should be by now. Nowhere close actually. While I see people half my age, and people who are just recently coming to know Christ, who act a lot more like Jesus than I do. I am reminded not to compare myself with others, or even look at past failures. I will keep my eyes on Jesus, His forgiving, unconditional love, and will allow His love to continue to change my life to make it more and more like His. On this day as well as any other day, I am so thankful for my compassionate Savior, and all my family and friends who love me unconditionally! As we continue studying this quarter’s Sabbath School lessons, on the sanctuary, people are telling me that there is so much they don’t understand or even know yet about the sanctuary. I say, do not be discouraged. Remember the sanctuary is a model of the plan of salvation. This is something we will be studying and looking into for all eternity. You may study that love for ages; yet you can never fully comprehend the length and the breadth, the depth and the height, of the love of God in giving His Son to die for the world. Eternity itself can never fully reveal it. Yet as we study the Bible and meditate upon the life of Christ and the plan of redemption, these great themes will open to our understanding more and more. -Ellen White, The Faith I Live By, Page 43. I have to admit, I grew up Adventist never really understanding a lot of the themes of the sanctuary or cleansing of the sanctuary. Instead of my teachers teaching it to me, they just told me I knew it. Interesting teaching method there! So, in my early twenties I still had lots of questions but did not dare ask because I was already suppose to know it all. Well I realized I was not going to learn any younger so I started asking questions anyways and reading and studying the sanctuary and the plan of redemption. I would like to share some books that have really helped me. Just click on the title for a PDF format of the book online, or info on how to purchase the book. 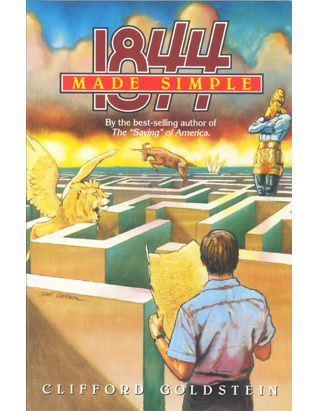 In his book 1844 Made Simple, Clifford Goldstein does a remarkable job of making the judgement and cleansing of the sanctuary so….well…simple! He also makes it very clear how Biblical this teaching is, though it is unique to Seventh-day Adventists. 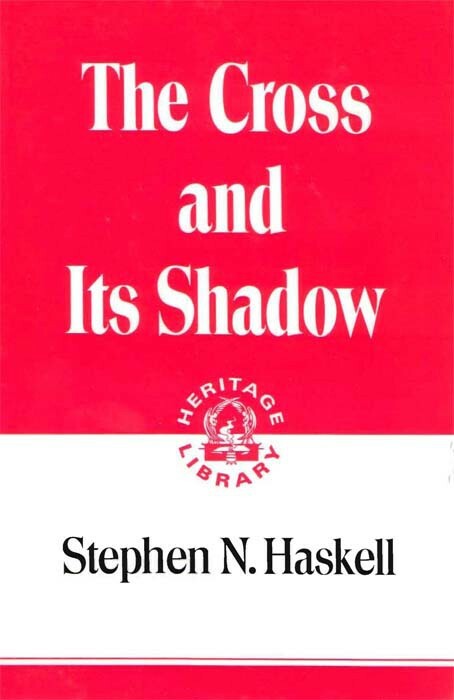 Stephen N. Haskell brings alive all of the imagery of the sanctuary and brings understanding to their applications. The feast days are also clearly explained. While some wonder why many Seventh-day Adventists do not celebrate the feast days, Elder Haskell helps us see that we are observing the literal feast days. For example, ever since 1844 we have been in the literal day of atonement. In M.L. 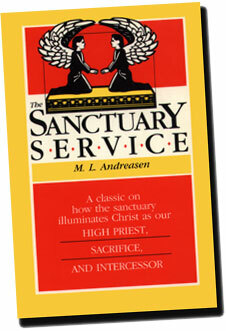 Andreason’s book, The Sanctuary Service, he illustrates how the sanctuary service illuminates Christ as our High Priest, Sacrifice and Intercessor. 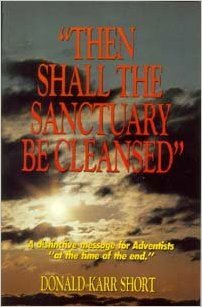 When I was in my early 20’s and began studying the sanctuary this book, by Donald Short, brought many things to life for me! it also helped me understand the work our High Priest is doing in the sanctuary of my heart. Jack Sequeira also has some wonderful study guides illustrating the sanctuary message and the plan of salvation. 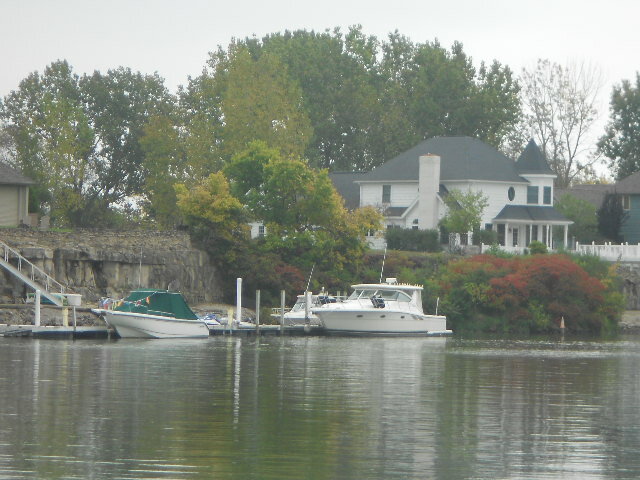 I am writing today from the beautiful Sandusky area on Lake Erie. Has modern technology removed the need for sacrifice? Now everyone can have their own way. When I was growing up back in the 20th century, my family had one black and white TV. On Monday nights, at our house we had to make compromises. My dad and me missed the first hour of Monday Night Football so that my mom and sister could watch Little House on the Prairie. Now everyone can record their favorite show while watching another one, or just go watch the TV in their bedroom, so that there is no need for compromise, much less actual sacrifice. When we went out to eat, someone had to choose where to go. Sometimes we wanted pizza, sometimes Mexican. Well, I always wanted Mexican, but that did not mean I always got it. Sometimes I did, sometimes I didn’t. That is until food courts arrived at the malls. Now everyone can eat at the same food court but still choose their own genre of food, while their friends choose theirs. No one has to compromise or sacrifice. Oh, and I almost forgot about waiting for my sister to get off the phone so I could call my friends! We only had, <gasp!> one phone line. We also had one bathroom for the whole family! Even so, in the thirteen years we lived in that house, I only remember twice having to run to the McDonald’s restroom four blocks away. One of those times was a Thanksgiving with the house filled with guests. Today we have our own cell phones. No one has to share. We have multiple bathrooms in our homes so no one has to wait. We have multiple restaurants to choose from at the food court so that everyone gets their own way. We have several TV’s in the home with recording devices so that no one has to compromise, and so that there will never again be an adolescent boy who has never seen a kickoff on Monday night. So does this make the world a better place? A world without sacrifice? A world where your friends get what they want, but you always get what you want too? It may sound like Utopia. But wait a minute – we are talking about a world without love. That’s right. Love is the principal of putting others first. The law of love tells us in the first four commandments how to put God first. The last six tell us how to put others first. This is what love is, and if we don’t have to put anyone else first, then that means we don’t have to love. What kind of a world is that? Think about this: Jesus in Gethsemane asks His Father if there was another way to save the world besides the awful sacrifice He was facing. Now you would think, if mankind has come up with enough technology so that we don’t have to compromise, share or put others first, much less have to sacrifice, that heaven could have come up with a better solution, than for God Himself to have to make a sacrifice! Yet heaven, with all of its infinite wisdom and resources only found one way to save the world. Sacrifice. Even the sacrifice of God’s own son! While we dream of a world without sacrifice, we had better remember that a world without sacrifice would be a world without love. Heaven was filled with love, and heaven itself could provide no other solution for mankind other than sacrifice. Heaven is a place where people have to share, compromise, put others first and at times sacrifice. That is what makes it heaven! That is what makes it a world of love! For our world to be a world of love, it must include sacrifices. It must include putting others first instead of making sure everyone gets exactly what they want when they want it. God has given us the Sabbath as a systematic way to put God and others first with our time. God has also given us the tithe and offering system so that we can systematically put God and others first with our possessions. Without a systematic way to always put others first, our world would have no way of exercising love. Even in today’s hi-tech society, the need for sacrifice has not been totally removed. A few years ago, a friend of mine received a kidney from his wife so that he could live. Now here is a way technology has created a way that we can sacrifice to save others! What a beautiful love story: Is there a more beautiful way to say you love someone than to give an organ that you may need later to save your own life? 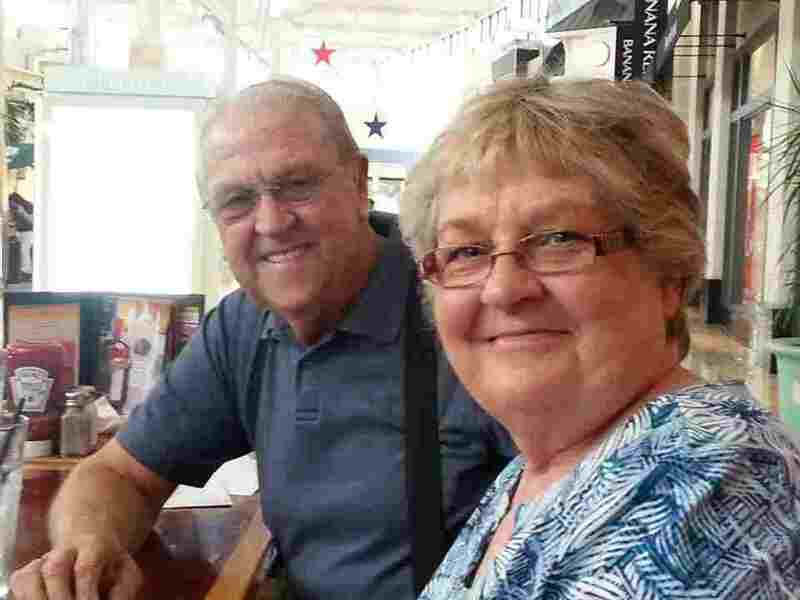 My friend Plessie, gave her kidney and maybe even later her own life to save her husband Jim. I love the world I live in, not because it is filled with cell phones, DVR’s and a multiple selection of restaurants. Having more than one phone in the house or multiple restrooms in the house does not make this world paradise to me. It’s people like Plessie who make this world worth living in! It’s people like Plessie, who are not afraid of the word “sacrifice,” that make my world paradise on earth! All the modern technology can’t make this world a paradise or heaven on earth. It can only make us self-centered, which is what caused Lucifer to fall from paradise. I can still remember seeing Jim and Plessie lying in their hospital beds after the transplant. I see the smile on Plessie’s face, satisfied that her sacrifice has saved her husband’s life, and that is when I see heaven on earth. Jim and his wife Plessie, who knew you can’t have paradise without sacrifice. In Numbers 21:1-9 God has Moses set a brass serpent on a pole so that if anybody was bitten by a serpent, they could look at this serpent on a pole and be healed. Now as real and literal as this serpent was it was only symbolic. There was no magic in the brass or the pole. This brass serpent was to point forward to Jesus dying for us on the cross and curing us form the snake bites of that old serpent the devil. Still some people started worshiping the brass serpent because they could not see past the pole and get the big picture. 2 Kings 18:4 tells us, finally Hezekiah destroyed the brass serpent because people were worshiping it instead of God. The problem was they saw the brass serpent as the end of their theology instead of looking beyond the pole to what it represented. Today some say there is no literal sanctuary in heaven, while the Seventh-day Adventist Church continues to teach what I understand to be true, that there is a literal sanctuary in heaven. See Hebrews 8:-12. However, if your theology stops at either the literal sanctuary on earth or the literal sanctuary in heaven your theology still falls short. Just like the brass serpent was real and literally existed, those who could not see beyond the brass serpent still fell short in their theology. Yes there is a real sanctuary in heaven but even the real and literal sanctuary in heaven is not the end of our theology. When Jesus came to this earth He referred to His body as a temple. See John 2:19. A temple is a dwelling place. Today we dwell in heavenly places in Christ Jesus. See Ephesians 2:6. Jesus was the most the Holy Place and his humanity was the veil shielding us from the glory so as not to destroy us. As real as both the earthly sanctuary is, and as real and literal as the heavenly sanctuary is, neither sanctuary is the goal of our theology. Jesus is the goal of our theology! For years while I have been writing and preaching about the sanctuary and making Jesus the center of my preaching and writing, I have had people call upon me and remind me that there is a real sanctuary in heaven. That is nothing that I have ever refuted. I teach there is a real sanctuary in heaven. I just don’t make the real sanctuary building in heaven the goal. I make Christ the goal. Still people want to remind me that there is a real sanctuary in heaven. That makes about as much sense as someone reminding me about the brass serpent when I teach about the cross! Yes, I know there was a real brass serpent but that real brass serpent was not the goal. The cross of Christ is the goal. In the sanctuary message Christ is again the goal. Everything in the sanctuary points to the goal and end of our theology, which is Christ. Christ is the Lamb of God that took away the sins of the world. Christ is the light of the world that lightens every man. By the way, when we join Satan in making accusations, we fire Jesus as our advocate and hire Stan to replace him! Jesus can plead your case without making accusations against other people. Accusing others is Satan’s game plan. The Sanctuary Revealed the Fall and Restoration of Man. In Adam, humanity sinned, was defiled, and condemned to death. In Christ, the same humanity was reconciled to God, cleansed from all defilement, and justified to life. The sacrifice of Christ as an atonement for sin is the great truth around which all other truths cluster. In order to be rightly understood and appreciated, every truth in the Word of God, from Genesis to Revelation, must be studied in the light that streams from the cross of Calvary. I present before you the great, grand monument of mercy and regeneration, salvation and redemption–the Son of God uplifted on the cross. This is to be the foundation of every discourse given by our ministers.—Ellen White, Gospel Workers, p. 315. Friends, the foundation for the discourse on the sanctuary message is not the literal temple on earth or in heaven. Yes, there is a real sanctuary up in heaven, I know. However, according to our prophet, in Gospel Workers page 315, the foundation of the sanctuary message is the sacrifice of Christ Himself. Just like the brass serpent on a pole pointed us to Christ, likewise the literal heavenly sanctuary points us to Christ. You may study this week’s SS lesson on the sanctuary here. Where is the Most Holy Place? Where is the most holy place? Is it a building on earth or in heaven? Or is it somewhere else? While I was a child living in Tulsa, Oklahoma, a tornado hit the surrounding area where I lived. Among the destruction was a Methodist church. That night on the news, I remember the Methodist pastor, saying in an interview, “The building has been destroyed but the church is just fine.” The pastor realized the church is not the building. The church is the people. As we study the sanctuary this quarter, that is a very important point to keep in mind. For example the climax of Christ’s ministry as our High Priest is not when the heavenly sanctuary building is cleansed, but when our hearts are cleansed! In John 14 there is a wonderful promise that contains more than what appears on the surface. The whole purpose of a sanctuary is so that God can live right with us. Now if Jesus were speaking of literal rooms in John 14, the question would be what is taking Him so long? He created the world in six days. Surely it does not take Him two thousand years to build literal living rooms. However, if He is preparing a place where He can live right with us, then He is not only preparing a place made of rocks and mortar. Yes, there are literal mansions prepared for us in heaven, but that is not what is taking Jesus two thousand years. What is taking so long is that He is working with hearts of stone, preparing those stony hearts to become a temple, a sanctuary where He can live right inside of us. So that we can always live and be right where Jesus is! Seventh-day Adventists understand there is a literal sanctuary in heaven.Hebrews 8:1-2. We tell people that the earthly sanctuary was just symbolic of the heavenly sanctuary. True, but here is the catch. 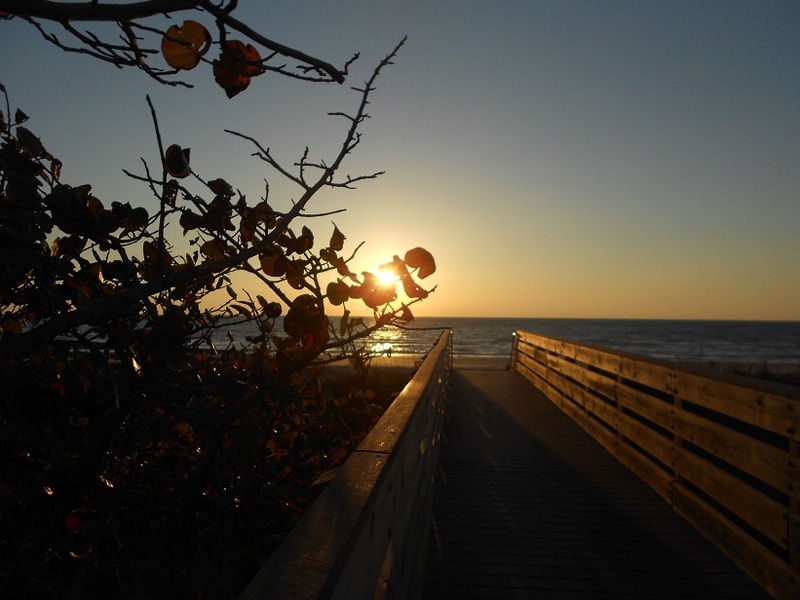 While both the earthly and heavenly sanctuaries are literal sanctuaries, they are both symbolic. The earthly sanctuary points to the work Jesus is doing in the heavenly sanctuary, while the heavenly sanctuary points to the work that Jesus is doing, not in a building, but in our hearts! Remember the wise Methodist preacher making a distinction between the building and the church? The church is not a building, it is a people. Likewise we must make the distinction between the building and the sanctuary. We are the sanctuary Jesus is ministering in and wants to cleanse for His eternal living area. All that Jesus is accomplishing in the heavenly sanctuary He wants to accomplish in our hearts. In the courtyard is where the altar was for the sacrifice. This is where the act of justification took place. This is also to take place in our hearts. Justification takes place when I live a perfect life in Jesus. Jesus counts Hisperfect life as my perfect life, thus saving me from the penalty of sin which is death. Justification is my title to heaven. See Romans 5:10 andEphesians 2:8-9. Now while the altar in the courtyard is symbolic of the cross, many people say everything was accomplished and completed at the cross. Whoa! While the provision of a sacrifice was completed at the cross, the sanctuary does not end with the courtyard, where the sacrifice was provided. There are more exciting things to come. When the soldiers pierced Jesus’ side with the sword, out flowed blood and water. The blood was for our justification which took place inside the courtyard. The water was for our cleansing and sanctification. The laver or wash basin in the earthly sanctuary was between the altar of sacrifice and the entrance to the holy place. So sanctification comes after the cleansing of justification. Jesus wants our hearts to be sanctified. Revelation 10:7 NLT refers to the cleansing of the sanctuary and tells us God’s mysterious plan will be revealed. Iniquity is a mystery in how it developed inside a perfect angelic heart like Lucifer’s. This quarter we will be studying how the sanctuary reveals God’s mysterious plan of removing sin from human hearts. Sanctification takes place as Jesus lives His victorious life in us. Thus we are being saved from sin by the power of God as He Himself writes His law of love in our hearts. By living in us, God is transforming us and preparing us for heaven. See Ephesians 3:19 and Colossians 1:27. Just to make sure we understand; justification is me in Jesus. Sanctification is Jesus in me. This is what Jesus was talking about when He said, “Remain in me, and I will remain in you.” John 15:4 NLT Remaining in Christ is our justification. Christ remaining in us is our sanctification. Justification is our title to heaven and the salvation from the penalty of sin. Sanctification is our fitness for heaven and the salvation from the power of sin. Now we enter the final compartment, which is the most holy place. This room is filled with the glory of God. Jesus represented the sanctuary where the Father dwelt in Him. Jesus’ humanity was the veil that kept us from being destroyed by His glory. Jesus wants us to share in His glory instead of being destroyed by it. Glorification is when Jesus saves us from the presence of sin. Those who love God and life will live in paradise, never again seeing the results or consequences of sin. See Revelation 21:1-4. Jesus does not want to justify a courtyard; He wants to justify our hearts. Jesus does not want to cleanse the holy place of a building. He wants to cleanse our hearts. He does not want to live in the last compartment of the sanctuary building. He wants our hearts to be the most holy place so He can live right with us for all eternity! Once Christ’s ministry as our High Priest has been completed, the sanctuary on earth and tabernacle in heaven will no longer be the most holy place. The most holy place will be right inside the hearts of the redeemed! The mystery of iniquity is how did Lucifer’s heart, which was so perfect become so polluted with sin? God’s mysterious plan is to make our sinful hearts holy. And by the gospel presented in the sanctuary, not only do our sin polluted hearts become purified and become a holy place. They become the most holy place. You may study this quarter’s SS lesson on the sanctuary here.